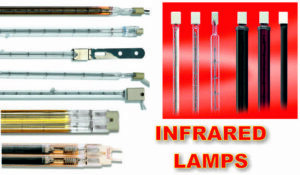 IR Halogen lamps work on the principle of irradiation. 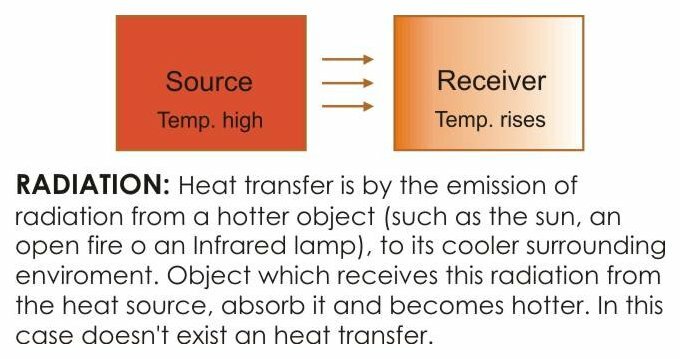 Lamps heat the object directly without heating the surrounding air. This makes the Halogen lampa high efficiency heat source. 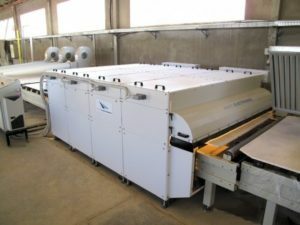 Photo Electronics utilizes on own ovens Infrared Halogen Lamps. These lamps generate short wave Infrared radiations, offerring great practical and energy benefits. Table below shows the differences of performance among short, medium and long wave emitters. 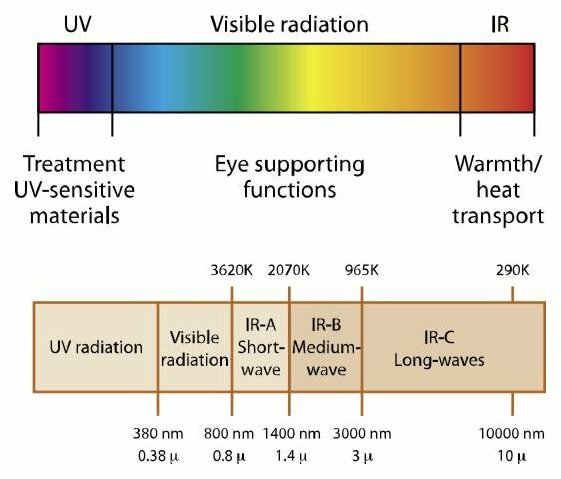 Depending on the temperature of the heating element, an infrared emitter delivers distinctly different radiation at various wavelengths. It is important to select the correct emitter for the product, as the wavelength has a significant influence on the heating process. 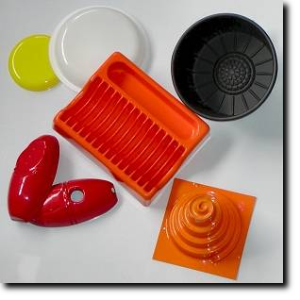 Short wave radiation can penetrate deep into some solid materials and ensure a uniform through heating. 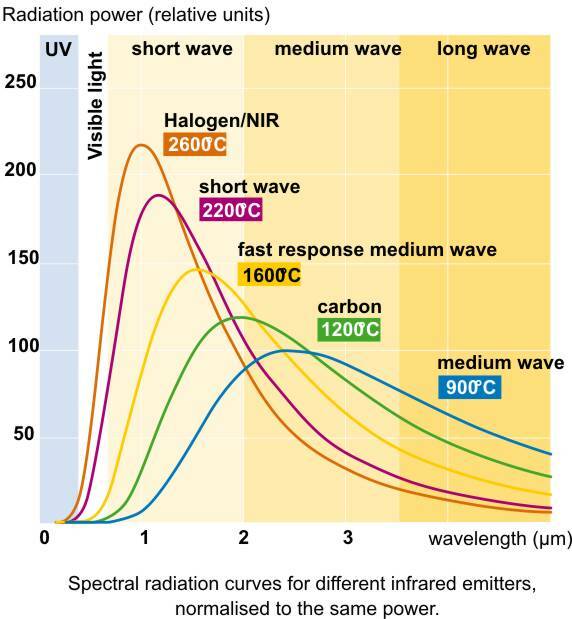 Medium wave radiation is absorbed mostly in the outer surface and predominantly heats the surface. 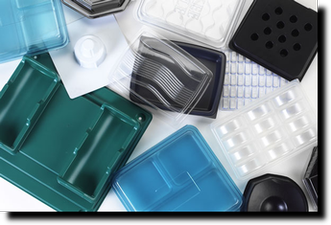 Medium wave radiation is particularly well absorbed by many plastics, glass and especially water and is converted directly into heat. Photo Electronics is able to supply both IR alogen medium wave and short wave emitters, to meet the Customer needs. Infrared Halogen Lamps offer you higher productivity, and new benefits, like versatility, safety and overall energy saving!